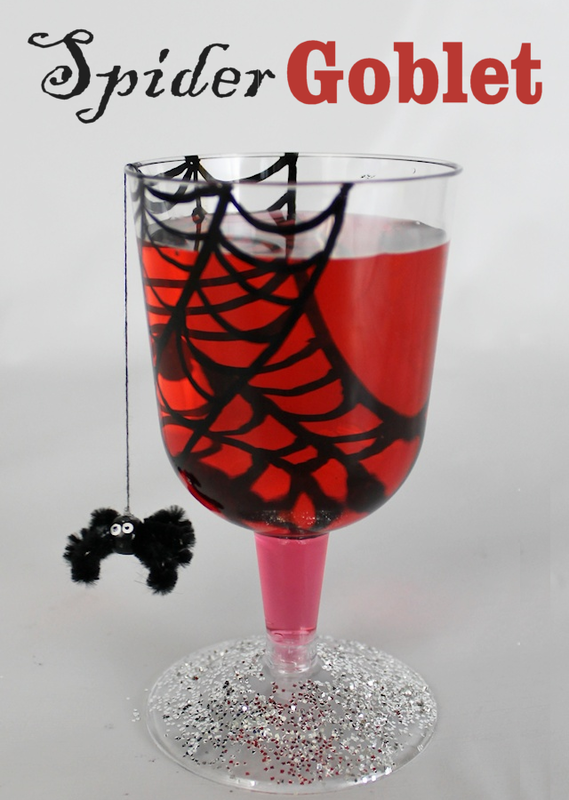 Make these spooky Halloween goblets easily and cheaply! Grab some plastic wine glasses from your local grocery or dollar store then take a permanent marker, some glitter, a bead and chenille stems you’ve got an awesome goblet! These are perfect Halloween party ideas for adults and kids alike.! Thanks Tamara! I will join your party for sure. Appreciate you telling me about it! What is the drink that you made for inside it? Would LOVE that recipe! Really cute!! Stopping by from The Winthrop Chronicles.